I had the privilege of meeting Randy Schekman a few times when I was a postdoc at Berkeley. In addition to pioneering the understand of cellular trafficking, he was also a great colleague and educator (of undergrads, grad students, postdocs). Hats off to a wonderful scientist who also pays it forward to future generations as a mentor! Last couple years, including this year, the Nobel for Physiology or Medicine Award has been dominated by Cell Biologists. I think this highlights how understanding cells is really the key to most medicine. I guess UC Berkeley will have to add a few more Nobel Laureate Parking Spots on their campus now! Yes, in parking-challenged Berkeley campus, some of the best parking spots are reserved for the Nobel Laureate Faculty. They have so many winners, and rather spotty on-campus parking, so they don’t want such brains to go hunt for parking. They reason that the Laureates should be doing better things, like more research, or assisting newer researchers and students. A most elegant solution! I don’t think there is any other institution anywhere in the world that has dedicated parking for their Nobel-winning employees. Or has so many Nobels on the payroll. But then, there is just one Cal. This prize is another testament to UC Berkeley’s standing. Congratulations to the scientists, and a big thank you to their institutions that allowed them the freedom and resources to pursue their ideas. Randy W. Schekman, professor of molecular and cell biology at the University of California, Berkeley, has won the 2013 Nobel Prize in Physiology or Medicine for his role in revealing the machinery that regulates the transport and secretion of proteins in our cells. He shares the prize with James E. Rothman of Yale University and Thomas C. Südhof of Stanford University. Discoveries by Schekman about how yeast secrete proteins led directly to the success of the biotechnology industry, which was able to coax yeast to release useful protein drugs, such as insulin and human growth hormone. The three scientists’ research on protein transport in cells, and how cells control this trafficking to secrete hormones and enzymes, illuminated the workings of a fundamental process in cell physiology. Schekman is UC Berkeley’s 22nd Nobel Laureate, and the first to receive the prize in the area of physiology or medicine. Be part of our developing story on Storify and Twitter: Tweet your congratulations to Professor Schekman, using hashtag #BerkeleyNobel. Schekman and Rothman separately mapped out one of the body’s critical networks, the system in all cells that shuttles hormones and enzymes out and adds to the cell surface so it can grow and divide. This system, which utilizes little membrane bubbles to ferry molecules around the cell interior, is so critical that errors in the machinery inevitably lead to death. “Ten percent of the proteins that cells make are secreted, including growth factors and hormones, neurotransmitters by nerve cells and insulin from pancreas cells,” said Schekman, a Howard Hughes Medical Institute Investigator and a faculty member in the Li Ka Shing Center for Biomedical and Health Sciences. In what some thought was a foolish decision, Schekman decided in 1976, when he first joined the College of Letters and Science at UC Berkeley, to explore this system in yeast. In the ensuing years, he mapped out the machinery by which yeast cells sort, package and deliver proteins via membrane bubbles to the cell surface, secreting proteins important in yeast communication and mating. Yeast also use the process to deliver receptors to the surface, the cells’ main way of controlling activities such as the intake of nutrients like glucose. In the 1980s and ’90s, these findings enabled the biotechnology industry to exploit the secretion system in yeast to create and release pharmaceutical products and industrial enzymes. Today, diabetics worldwide use insulin produced and discharged by yeast, and most of the hepatitis B vaccine used around the world is secreted by yeast. Both systems were developed by Chiron Corp. of Emeryville, Calif., now part of Novartis International AG, during the 20 years Schekman consulted for the company. Various diseases, including some forms of diabetes and a form of hemophilia, involve a hitch in the secretion system of cells, and Schekman is now investigating a possible link to Alzheimer’s disease. “Our findings have aided people in understanding these diseases,” said Schekman. Based on the machinery discovered by Schekman and Rothman, Südhof subsequently discovered how nerve cells release signaling molecules, called neurotransmitters, which they use to communicate. For his scientific contributions, Schekman was elected to the National Academy of Sciences in 1992, received the Gairdner International Award in 1996 and the Lasker Award for basic and clinical research in 2002. He was elected president of the American Society for Cell Biology in 1999. On Oct. 3, Schekman received the Otto Warburg Medal of the German Society for Biochemistry and Molecular Biology, which is considered the highest German award in the fields of biochemistry and molecular biology. Schekman, formerly editor of the journal Proceedings of the National Academy of Sciences, currently is editor-in-chief of the new open access journal eLife. Schekman and his wife, Nancy Walls, have two adult children. Neuroscientist Thomas Südhof, MD, professor of molecular and cellular physiology at the Stanford School of Medicine, won the 2013 Nobel Prize in Physiology or Medicine. Steve Fisch Thomas Sudhof won the 2013 Nobel Prize in Physiology or Medicine. He shared the prize with James Rothman, PhD, a former Stanford professor of biochemistry, andRandy Schekman, PhD, who earned his doctorate at Stanford under the late Arthur Kornberg, MD, another winner of the Nobel Prize in Physiology or Medicine. The three were awarded the prize “for their discoveries of machinery regulating vesicle traffic, a major transport system in our cells.” Rothman is now a professor at Yale University, and Schekman is a professor at UC-Berkeley. The three winners will share a prize that totals roughly $1.2 million, with about $413,600 going to each. Südhof, the Avram Goldstein Professor in the School of Medicine, received the award for his work in exploring how neurons in the brain communicate with one another across gaps called synapses. Although his work has focused on the minutiae of how molecules interact on the cell membranes, the fundamental questions he’s pursuing are large. “The brain works by neurons communicating via synapses,” Südhof said in a phone conversation this morning. “We’d like to understand how synapse communication leads to learning on a larger scale. How are the specific connections established? How do they form? And what happens in schizophrenia and autism when these connections are compromised?” In 2009, he published research describing how a gene implicated in autism and schizophrenia alters mice’s synapses and produces behavioral changes in the mice, such as excessive grooming and impaired nest building, that are reminiscent of these human neuropsychiatric disorders. Lloyd Minor, MD, dean of the School of Medicine, said, “Thomas Südhof is a consummate citizen of science. His unrelenting curiosity, his collaborative spirit, his drive to ascertain the minute details of cellular workings, and his skill to carefully uncover these truths — taken together it’s truly awe-inspiring. The Nobel committee called Südhof on his cell phone after trying his home in Menlo Park, Calif. His wife, Lu Chen, PhD, associate professor of neurosurgery and of psychiatry and behavioral sciences, then gave the committee his cell phone number to reach him in Spain. On the day he got the call from the Nobel committee, he was scheduled to give a talk at a conference, Membrane Traffic at the Synapse: The Cell Biology of Synaptic Plasticity, held in a 17th-century building that now serves as a conference center. Südhof, who is also a Howard Hughes Medical Institute investigator, has spent the past 30 years prying loose the secrets of the synapse, the all-important junction where information, in the form of chemical messengers called neurotransmitters, is passed from one neuron to another. The firing patterns of our synapses underwrite our consciousness, emotions and behavior. The simple act of taking a step forward, experiencing a fleeting twinge of regret, recalling an incident from the morning commute or tasting a doughnut requires millions of simultaneous and precise synaptic firing events throughout the brain and peripheral nervous system. Even a moment’s consideration of the total number of synapses in the typical human brain adds up to instant regard for that organ’s complexity. Coupling neuroscientists’ ballpark estimate of 200 billion neurons in a healthy adult brain with the fact that any single neuron may share synaptic contacts with as few as one or as many as 1 million other neurons (the median is somewhere in the vicinity of 10,000) suggests that your brain holds perhaps 2 quadrillion synapses — 10,000 times the number of stars in the Milky Way. Much of a neuron can be visualized as a long, hollow cord whose outer surface conducts electrical impulses in one direction. At various points along this cordlike extension are bulbous nozzles known as presynaptic terminals, each one housing myriad tiny, balloon-like vesicles containing neurotransmitters and each one abutting a downstream (or postsynaptic) neuron. When an electrical impulse traveling along a neuron reaches one of these presynaptic terminals, calcium from outside the neuron floods in through channels that open temporarily, and a portion of the neurotransmitter-containing vesicles fuse with the surrounding bulb’s outer membrane and spill their contents into the narrow gap separating the presynaptic terminal from the postsynaptic neuron’s receiving end. Südhof, along with other researchers worldwide, has identified integral protein components critical to the membrane fusion process. Südhof purified key protein constituents sticking out of the surfaces of neurotransmitter-containing vesicles, protruding from nearby presynaptic-terminal membranes, or bridging them. 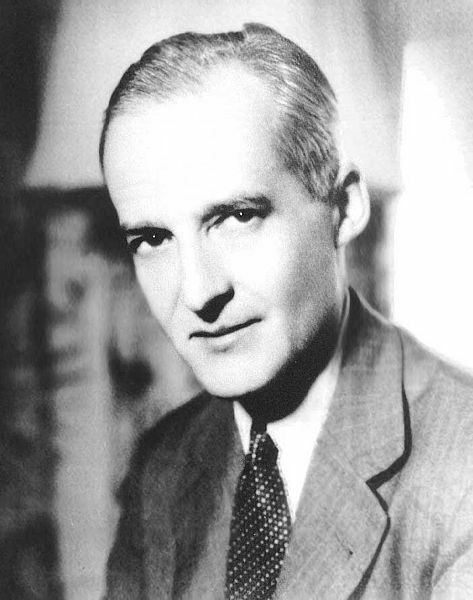 Then, using biochemical, genetic and physiological techniques, he elucidated the ways in which the interactions among these proteins contribute to carefully orchestrated membrane fusion: As a result, synaptic transmission is today one of the best-understood phenomena in neuroscience. Südhof, who was born in Germany in 1955, received an MD in 1982 from Georg-August-Universität in Göttingen. He came to Stanford in 2008 after 25 years at the University of Texas Southwestern Medical Center at Dallas, where he first worked as a postdoctoral fellow at the laboratories of Michael Brown, MD, and Joseph Goldstein, MD.. Brown and Goldstein were awarded the Nobel Prize in Physiology or Medicine in 1985 for their work in understanding the regulation of cholesterol metabolism. 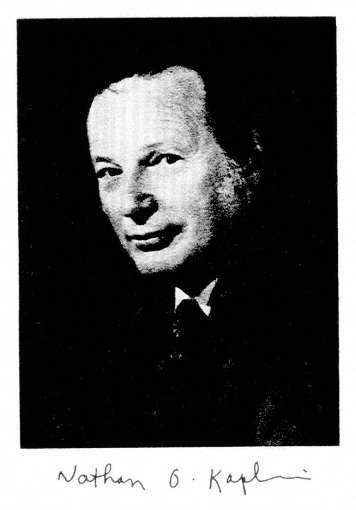 In 1986, Südhof established his own laboratory at the university. Südhof became an HHMI investigator in 1991, and moved to Stanford as a professor in molecular and cellular physiology in 2008. The proteins Südhof has focused on for close to three decades are disciplined specialists. They recruit vesicles, bring them into “docked” positions near the terminals, herd calcium channels to the terminal membrane, and, cued by calcium, interweave like two sides of a zipper and force the vesicles into such close contact with terminal membranes that they fuse with them and release neurotransmitters into the synaptic gap. Although these specialists perform defined roles at the synapses, similar proteins, discovered later by Südhof and others, play comparable roles in other biological processes ranging from hormone secretion to fertilization of an egg during conception to immune cells’ defense against foreign invaders. Südhof’s accomplishments also earned him the 2013 Lasker Basic Medical Research Award. He is a member of the National Academy of Sciences, the Institute of Medicine and the American Academy of Arts & Sciences. He also is a recipient of the 2010 Kavli Prize in neuroscience. Südhof said this morning he is excited to speak with his family about the prize, although it may be too much for his youngest children, ages 3 and 4, to grasp. “I will try to explain it to them,” he said. “It will be a wonderful occasion.” He noted that he has already received congratulatory calls from two of his four adult children. For them, the news may have come as less of a surprise. Membrane fusion is a fundamental biological process for organelle formation, nutrient uptake, and the secretion of hormones and neurotransmitters. 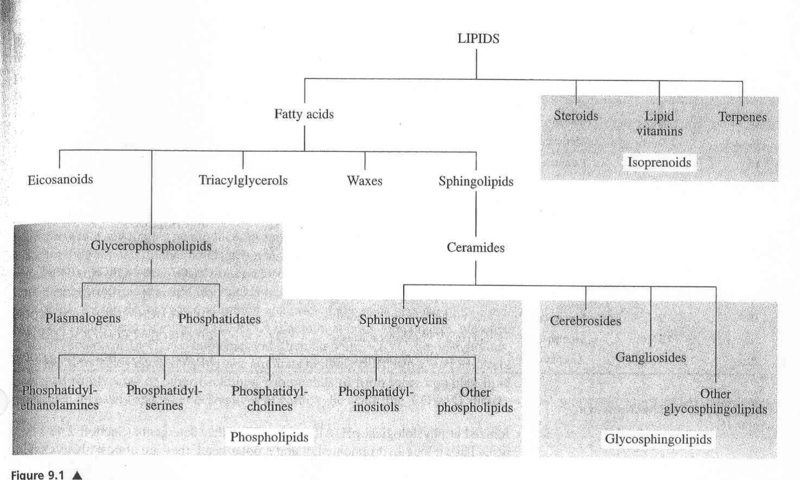 It is central to vesicular transport, storage, and release in many areas of endocrine and exocrine physiology, and imbalances in these processes give rise to important diseases, such as diabetes. We employ diverse biophysical, biochemical, and cell biological approaches to characterize the fundamental participants in intracellular transport processes. Time lapse images of fusing flipped-SNARE cells. Over 30 years ago, we observed what we interpreted to be vesicular transport in crude extracts of tissue culture cells. In subsequent years we found that we had reconstituted vesicle trafficking in the Golgi, including the process of membrane fusion. Using this assay as a guide, we purified as a required factor the NEM-Sensitive Fusion protein (NSF). This led to the purification of the Soluble NSF Attachment Factor (SNAP), which bound NSF to Golgi membranes, and then with these tools discovered that the receptors for SNAP in membranes were actually complexes of proteins (which we called SNAREs) which we envisioned could potentially partner as a bridge between membranes to contribute to the process of membrane fusion and provide specificity to it (as captured in the ‘SNARE hypothesis’ proposed at the time). We now know that organisms have a large family of SNARE proteins that indeed form cognate partnerships in just this way, and that NSF is an ATPase that (using SNAP as an adaptor protein) disrupts the SNARE complex after fusion is complete so its subunits can be recycled for repeated use. 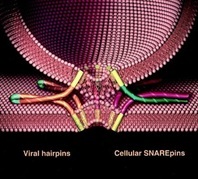 Recombinant cognate SNAREs introduced into artificial bilayers or expressed ectopically on the outside of cells ( “flipped SNAREs”) spontaneously and efficiently result in membrane (or cell) fusion, demonstrating that the SNARE complex is not only necessary but is sufficient for fusion. There are many proteins known and rapidly being discovered which closely regulate this vital process, but the muscle – if not always the brains – is in the SNAREs. Compartmental specificity is encoded to a remarkable degree in the functional partnering of SNARE proteins, a fact which is in no way inconsistent with the emerging contribution of upstream regulatory components (like rabGTPases and tethering complexes) to domain/compartment specificity. Our lab is working to elucidate the underlying mechanisms of vesicular transport within cells and the secretion of proteins and neurotransmitters. Structural and functional organization of the Golgi apparatus from a cellular systems view. We take an interdisciplinary approach which includes cell-free biochemistry, single molecule biophysics, high resolution optical imaging of single events/single molecules in the cell and in cell-free formats. The overall goal is to understand transport pathways form structural mechanism to cellular physiology. The latter is facilitated by high throughput functional genomics at the cellular level (see Yale Center for High Throughput Cell Biology). We have a strong interest in new lab members who bring backgrounds in chemistry, physics, and engineering. From left: Randy W. Schekman, Thomas C. Südhof and James E. Rothman. Three Americans won the Nobel Prize in Physiology or Medicine Monday for discovering the machinery that regulates how cells transport major molecules in a cargo system that delivers them to the right place at the right time in cells. The molecules are moved around cells in small packages called vesicles, and each scientist discovered different facets that are needed to ensure that the right cargo is shipped to the correct destination at precisely the right time. Their research solved the mystery of how cells organize their transport system, the Karolinska committee said. 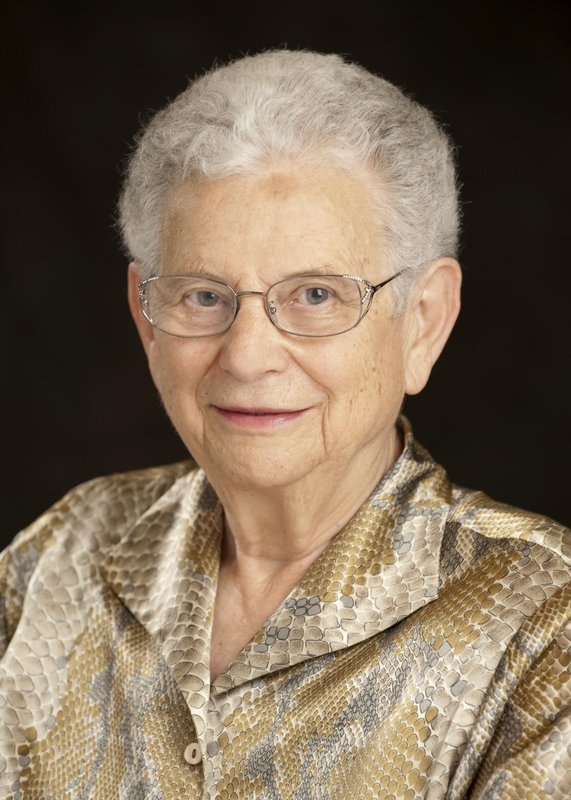 Dr. Schekman discovered a set of genes that were required for vesicle traffic. Dr. Rothman unraveled protein machinery that allows vesicles to fuse with their targets to permit transfer of cargo. Dr. Südhof revealed how signals instruct vesicles to release their cargo with precision. The tiny vesicles, which have a covering known as membranes, shuttle the cargo between different compartments or fuse with the membrane. The transport system activates nerves. It also controls the release of hormones. Disturbances in this exquisitely precise control system cause serious damage that, in turn, can contribute to conditions like neurological diseases, diabetes and immunological disorders. Dr. Schekman, 64, who was born in St. Paul, used yeast cells as a model system when he began his research in the 1970s. He found that vesicles piled up in parts of the cell and that the cause was genetic. He went on to identify three classes of genes that control different facets of the cell’s transport system. Dr. Schekman studied at the University of California in Los Angeles and at Stanford University, where he obtained his Ph.D. in 1974. In 1976, he joined the faculty of the University of California, Berkeley, where he is currently professor in the Department of Molecular and Cell Biology. Dr. Schekman is also an investigator at the Howard Hughes Medical Institute. Dr. Rothman, 63, who was born in Haverhill, Mass., studied vesicle transport in mammalian cells in the 1980s and 1990s. He discovered that a protein complex allows vesicles to dock and fuse with their target membranes. In the fusion process, proteins on the vesicles and target membranes bind to each other like the two sides of a zipper. The fact that there are many such proteins and that they bind only in specific combinations ensures that cargo is delivered to a precise location. The same principle operates inside the cell and when a vesicle binds to the cell’s outer membrane to release its contents. Dr. Rothman received a Ph.D. from Harvard Medical School in 1976, was a postdoctoral fellow at Massachusetts Institute of Technology, and moved in 1978 to Stanford University, where he started his research on the vesicles of the cell. Dr. Rothman has also worked at Princeton University, Memorial Sloan-Kettering Cancer Institute and Columbia University. In 2008, he joined the faculty of Yale University where he is currently professor and chairman in the Department of Cell Biology. Some of the genes Dr. Schekman discovered in yeast coded for proteins correspond to those Dr. Rothman identified in mammals. Collectively, they mapped critical components of the cell´s transport machinery. Dr. Südhof, 57, who was born in Göttingen, Germany, studied neurotransmission, the process by which nerve cells communicate with other cells in the brain. At the time he set out to explore the field 25 years ago, much of it was virgin scientific territory. Researchers had not identified a single protein in the neurotransmission process. Dr. Südhof helped transform what had been a rough outline into a number of molecular activities to provide insights into the elaborate mechanisms at the crux of neurological activities, from the simplest to the most sophisticated. He did so by systematically identifying, purifying and analyzing proteins that can rapidly release chemicals that underlie the brain’s activities. The transmission process can take less than a thousandth of a second. Dr. Südhof studied at the Georg-August-Universität in Göttingen, where he received a medical degree in 1982 and a doctorate in neurochemistry the same year. In 1983, he moved to the University of Texas Southwestern Medical Center in Dallas. 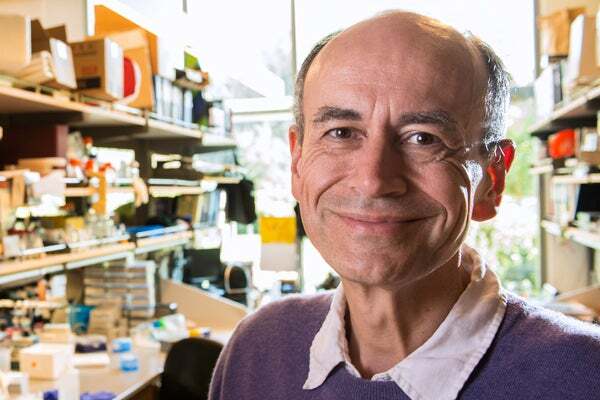 Dr. Südhof, who has American citizenship, became an investigator at the Howard Hughes Medical Institute in 1991 and was appointed professor of molecular and cellular physiology at Stanford University in 2008. All three scientists have won other awards, including the Lasker Prize, for their research. An earlier version of this article misstated Randy W. Schekman’s age. He is 64, not 65. This year’s Nobel Prize in Physiology or Medicine is going jointly to three scientists for their work figuring out how cells transport their cargo, according to the Karolinska Institute. They will share the $1.25 million prize. By studying yeast cells with defective vesicles, Randy Schekman from the University of California, Berkeley, uncovered three classes of genes that control transportation within the cell, the New York Times adds. Schekman was awakened in California by the call from Stockholm. “I wasn’t thinking too straight. I didn’t have anything elegant to say,” he tells the AP. “All I could say was ‘Oh my God,’ and that was that.” Schekman adds that he called his lab manager to arrange a celebration in the lab. Meanwhile, Yale University’s James Rothman discovered a protein complex that allows vesicles to bind to their intended membrane targets, getting the vesicle contents to a specific location. Rothman notes that he recently lost funding for work building on his discovery, and says that he hopes that having won the Nobel will help him when he reapplies. A breakthrough in genetics – described as “jaw-dropping” by one Nobel scientist – has created intense excitement among DNA experts around the world who believe the discovery will transform their ability to edit the genomes of all living organisms, including humans. The development has been hailed as a milestone in medical science because it promises to revolutionise the study and treatment of a range of diseases, from cancer and incurable viruses to inherited genetic disorders such as sickle-cell anaemia and Down syndrome. For the first time, scientists are able to engineer any part of the human genome with extreme precision using a revolutionary new technique called Crispr, which has been likened to editing the individual letters on any chosen page of an encyclopedia without creating spelling mistakes. The landmark development means it is now possible to make the most accurate and detailed alterations to any specific position on the DNA of the 23 pairs of human chromosomes without introducing unintended mutations or flaws, scientists said. The technique is so accurate that scientists believe it will soon be used in gene-therapy trials on humans to treat incurable viruses such as HIV or currently untreatable genetic disorders such as Huntington’s disease. It might also be used controversially to correct gene defects in human IVF embryos, scientists said. Until now, gene therapy has had largely to rely on highly inaccurate methods of editing the genome, often involving modified viruses that insert DNA at random into the genome – considered too risky for many patients. The new method, however, transforms genetic engineering because it is simple and easy to edit any desired part of the DNA molecule, right down to the individual chemical building-blocks or nucleotides that make up the genetic alphabet, researchers said. “Crispr is absolutely huge. It’s incredibly powerful and it has many applications, from agriculture to potential gene therapy in humans,” said Craig Mello of the University of Massachusetts Medical School, who shared the 2006 Nobel Prize for medicine for a previous genetic discovery called RNA interference. “This is really a triumph of basic science and in many ways it’s better than RNA interference. It’s a tremendous breakthrough with huge implications for molecular genetics. It’s a real game-changer,” Professor Mello told The Independent. “It’s one of those things that you have to see to believe. I read the scientific papers like everyone else but when I saw it working in my own lab, my jaw dropped. A total novice in my lab got it to work,” Professor Mello said. In addition to engineering the genes of plants and animals, which could accelerate the development of GM crops and livestock, the Crispr technique dramatically “lowers the threshold” for carrying out “germline” gene therapy on human IVF embryos, Professor Mello added. The new method of gene therapy makes it simple and easy to edit any desired part of the DNA molecule (Getty Creative) Germline gene therapy on sperm, eggs or embryos to eliminate inherited diseases alters the DNA of all subsequent generations, but fears over its safety, and the prospect of so-called “designer babies”, has led to it being made illegal in Britain and many other countries. The new gene-editing technique could address many of the safety concerns because it is so accurate. Some scientists now believe it is only a matter of time before IVF doctors suggest that it could be used to eliminate genetic diseases from affected families by changing an embryo’s DNA before implanting it into the womb. “If this new technique succeeds in allowing perfectly targeted correction of abnormal genes, eliminating safety concerns, then the exciting prospect is that treatments could be developed and applied to the germline, ridding families and all their descendants of devastating inherited disorders,” said Dagan Wells, an IVF scientist at Oxford University. “It would be difficult to argue against using it if it can be shown to be as safe, reliable and effective as it appears to be. Who would condemn a child to terrible suffering and perhaps an early death when a therapy exists, capable of repairing the problem?” Dr Wells said. The Crispr process was first identified as a natural immune defence used by bacteria against invading viruses. Last year, however, scientists led by Jennifer Doudna at the University of California, Berkeley, published a seminal study showing that Crispr can be used to target any region of a genome with extreme precision with the aid of a DNA-cutting enzyme called CAS9. Since then, several teams of scientists showed that the Crispr-CAS9 system used by Professor Doudna could be adapted to work on a range of life forms, from plants and nematode worms to fruit flies and laboratory mice. Earlier this year, several teams of scientists demonstrated that it can also be used accurately to engineer the DNA of mouse embryos and even human stem cells grown in culture. Geneticists were astounded by how easy, accurate and effective it is at altering the genetic code of any life form – and they immediately realised the therapeutic potential for medicine. “The efficiency and ease of use is completely unprecedented. I’m jumping out of my skin with excitement,” said George Church, a geneticist at Harvard University who led one of the teams that used Crispr to edit the human genome for the first time. “The new technology should permit alterations of serious genetic disorders. This could be done, in principle, at any stage of development from sperm and egg cells and IVF embryos up to the irreversible stages of the disease,” Professor Church said. David Adams, a DNA scientist at the Wellcome Trust Sanger Institute in Cambridge, said that the technique has the potential to transform the way scientists are able to manipulate the genes of all living organisms, especially patients with inherited diseases, cancer or lifelong HIV infection. “This is the first time we’ve been able to edit the genome efficiently and precisely and at a scale that means individual patient mutations can be corrected,” Dr Adams said. “There have been other technologies for editing the genome but they all leave a ‘scar’ behind or foreign DNA in the genome. This leaves no scars behind and you can change the individual nucleotides of DNA – the ‘letters’ of the genetic textbook – without any other unwanted changes,” he said. Restriction enzymes: allowed scientists to cut the DNA molecule at or near a recognised genetic sequence. The enzymes work well in microbes but are more difficult to target in the more complex genomes of plants and animals. Their discovery in the 1970s opened the way for the age of genetic engineering, from GM crops to GM animals, and led to the 1978 Nobel Prize for medicine. Polymerase chain reaction (PCR): a technique developed in 1983 by Kary Mullis (below, credit: Getty) in California allowed scientists to amplify the smallest amounts of DNA – down to a single molecule – to virtually unlimited quantities. It quickly became a standard technique, especially in forensic science, where it is used routinely in analysing the smallest tissue samples left at crime scenes. Many historical crimes have since been solved with the help of the PCR test. Mullis won the Nobel Prize for chemistry in 1993. RNA interference: scientists working on the changing colour of petunia plants first noticed this phenomenon, which was later shown to involve RNA, a molecular cousin to DNA. In 1998, Craig Mello and Andrew Fire in the US demonstrated the phenomenon on nematode worms, showing that small strands of RNA could be used to turn down the activity of genes, rather like a dimmer switch. They shared the 2006 Nobel Prize for physiology or medicine for the discovery. 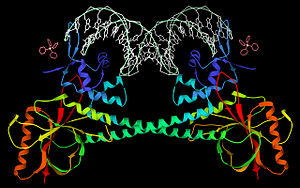 Zinc fingers: complex proteins called zinc fingers, first used on mice in 1994, can cut DNA at selected sites in the genome, with the help of enzymes. Another DNA-cutting technique called Talens can do something similar. 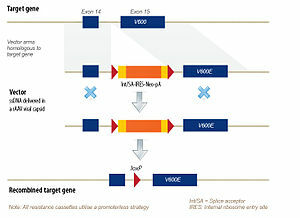 But both are cumbersome to use and difficult to operate in practice – unlike the Crispr technique. Ribozymes and RNA Machines: RNA forms a variety of complex globular structures, some of which function like enzymes or form functional complexes with proteins. There are three major areas of focus in the lab: catalytic RNA, the function of RNA in the signal recognition particle and the mechanism of RNA-mediated internal initiation of protein synthesis. We are interested in understanding and comparing catalytic strategies used by RNA to those of protein enzymes, focusing on self-splicing introns and the self-cleaving RNA from hepatitis delta virus (HDV), a human pathogen. We are also investigating RNA-mediated initiation of protein synthesis, focusing on the internal ribosome entry site (IRES) RNA from Hepatitis C virus. Cryo-EM, x-ray crystallography and biochemical experiments are focused on understanding the structure and mechanism of the IRES and its amazing ability to hijack the mammalian ribosome and associated translation factors. A third area of focus in the lab is the signal recognition particle, which contains a highly conserved RNA required for targeting proteins for export out of cells. Each of these projects seeks to understand the molecular basis for RNA function, using a combination of structural, biophysical and biochemical approaches. Medical School, 1989-1991; Post-doctoral fellow, University of Colorado, 1991-1994; Assistant/Associate professor, (1994-1998), Professor, (1999-2001), Yale University. Professor of Biochemistry & Molecular Biology, UC Berkeley, (2002-). Howard Hughes Medical Investigator 1997 to present. Packard Foundation Fellow Award, 1996; NSF Alan T. Waterman Award, 2000. Member, National Academy of Sciences, 2002. Member, American Academy of Arts and Sciences, 2003; American Association for the Advancement of Science Fellow Award, 2008; Member, Institute of Medicine of the National Academies, 2010. How well do methods for interpreting genome variation work? Ashley Yeager takes a look at a community experiment that is trying to assess just how useful genome interpretation tools in real-world situations. At the American Society of Human Genetics (ASHG) conference in November 2012 in San Francisco, CA, Steven Brenner, a computational geneticist from the University of California, Berkley, stood up in front of an audience and argued that it was unlikely that a single genome interpretation tool could identify variants for an array of illnesses or phenotypic traits (1). Instead, interpretation methods would likely need to be gene-specific or tailored for precise applications. Brenner came to that conclusion after looking over the results of the Critical Assessment of Genome Interpretation (CAGI), a community experiment, now in its third year, challenges researchers to computationally predict the phenotypes of genetic variants. The teams then compare their results with unpublished experimental data, showing researchers and clinicians which tools can most accurately interpret large amounts of genomic sequence variation data and which ones might be reliable enough to use in the clinic. The results from the first two rounds of challenges have been clear for Brenner: most genomic interpretation tools are not reliable enough for the clinic yet. The goal was to provide a better sense of the correct level of confidence scientists and clinicians should have in the methods to predict the phenotype of sequence variants that are out there right now. “There’s a lot of uncertainty about how these methods work on real problems and so the challenges address the question of how can we test them in real-world situations,” Moult says. In the beginning, Brenner and Moult had little idea of what to expect. The first year of the experiment was supposed to be very small, a pilot to see who would participate and what tools actually existed. In the end, the 2010 challenges drew more than 100 prediction submissions from eight countries, exceeding the organizers’ expectations. Forty of the participants traveled to Berkeley in December 2010 to review the results. The top prize was awarded to Yana Bromberg, a bioinformatician at Rutgers University in New Jersey, for her work on interpretation software called screening for non-acceptable polymorphisms, or SNAP for short, which evaluates the effects of single amino acid substitutions on protein function (2). It was the first time Moult and Brenner had heard of SNAP. In 2011, teams worked on 11 challenges, resulting in 117 predictions from 21 groups representing 18 countries. The challenges expanded, including exercises on exome variation and breast cancer gene variation. Again, SNAP was often one of the best interpretation tools, ranking high on several of the challenges. One of the challenges in the second year of the experiment asked variation predictors to analyze exome sequence data from 42 Crohn’s disease patients and 6 healthy individuals. Researchers didn’t know how many of the exomes had variations associated with the disease, but many of the tools predicted the disease in patients significantly better than random. The best performing teams used an unexpected approach, looking at rare variants on a large panel of genes (1). “The Crohn’s results were so great, we wonder if they were an artifact,” Brenner says, explaining that the CAGI organizers have included the challenge again in this year’s experiment to verify the results. If the results hold, “it could be a huge breakthrough there in interpreting genetic variation under certain circumstances,” he says. The next step would be to explain why the methods, such as SNAP, are so successful. But that requires more funding. Right now, the experiment has no direct funding, but the CAGI organizing committee does have a grant proposal to run the experiment awaiting review. The National Institutes of Health typically funds the year-end meeting where challenge participants present their results. “We’re doing this on a shoe string,” Moult says. Despite the financial pressure, Brenner and Moult feel that they have invested too much time to give up on the CAGI experiments. The 2012 challenge deadline is March 2013, with the meeting to present the results slated for July. The delay was largely due to funding issues. But Brenner and Moult hope that the extension will allow more researchers to participate. Overall, Brenner and Moult are excited to see the results. This year the experiment has 10 challenges, which include a test that focuses on genetic and phenotypic variation in breast cancer as well as the tried-and-true test to predict individuals’ phenotypic traits based on their genomes. The information for the personal genome analysis comes from the Personal Genome Project (PGP). “It acts as a valuable resource for diagnostics evaluations and standardization testing like CAGI,” Harvard molecular geneticist George Church said in an email, adding that the PGP has been providing data to CAGI since its first year. But this year, there’s a change to the personal genome challenge. For the past two years, participants used the data to predict individual phenotypic traits based on a genome. But phenotypic profiles of all PGP participants are now public. “The availability of the complete profiles makes it impossible to have a valid assessment of individual trait predictions,” Brenner explains. So instead of predicting the phenotype based on a single genome, in the 2012 challenge, the participants will develop tools that play a “matching game.” The goal will be to match 77 genomes with their corresponding phenotypic profiles, each of which includes 239 traits such as high cholesterol, diabetes, and astigmatism. And to spice things up, the organizers have included 214 phenotypic profiles that do not match any of the 77 genomes. Ultimately, the CAGI predictors will release the PGP challenge results to those who volunteered their genomes so the individuals can learn more about their genetic susceptibilities for disease. But the reliability of the results is not necessarily high yet, Brenner cautions, so it’s important that individuals, scientists, and clinicians take that into account if someone shows a predicted high risk for cancer or other serious illnesses. “We are nowhere near having a method for genome interpretation where a doctor could use it and then go and give surgery based on what we are saying,” Moult says. He and Brenner hope CAGI is a first step toward getting there one day. CAGI: The Critical Assessment of Genome Interpretation, a community experiment to evaluate phenotype prediction. (2012). American Society for Human Genetics Conference: Poster. Bromberg, Y. and B. Rost. 2007. SNAP: predict effect of non-synonymous polymorphisms on function. Nucleic Acids Research 35: 3823-3835.